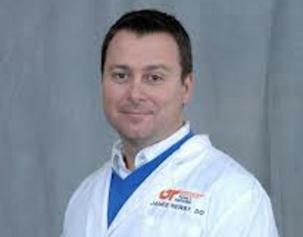 Dr. James Newby is a Chattanooga native. 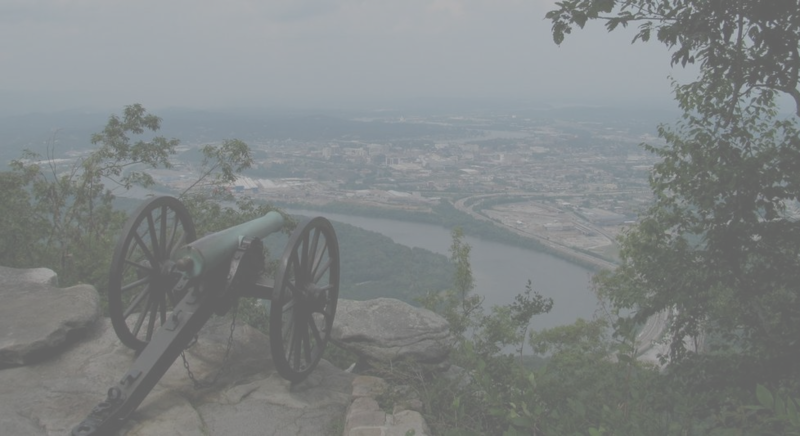 He completed his residency in Family Medicine at the University of Tennessee Family Practice program here in Chattanooga in 2004. He is Board Certified by the American Board of Family Medicine, has special interests in preventative medicine, wellness and orthopaedics. 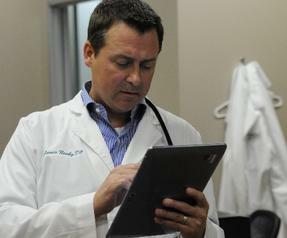 He also enjoys teaching and has served as a Clinical Instructor for the UT College of Medicine, precepting UT Memphis medical students and Erlanger Residents since 2007. Our Family Medicine practice treats the full spectrum of disease and illness. Whether you just need to keep your blood pressure under control, have a sprained ankle, or have multiple chronic medical conditions like diabetes, high cholesterol or asthma, we can take care of you today. Together we can come up with a plan that optimizes all that modern medicine has to offer, but is tailored to meet your specific needs and perspectives. Dr. Newby and his friendly staff are eager to help you reach your health care goals. We take most major insurances and are now accepting new patients. Unlike many of today's overcrowded practices we limit the number of patients we schedule for follow ups so that we always have room for same day or next day appointments for those who are ill or have more urgent needs. We hope you will call us today and make an appointment where you will be one of 20 patients seen in a day, not 35. We think you'll notice the difference here as Dr. Newby and his staff will take their time and really get to know you.